It may not be how you think of the eastern Connecticut town, but it's had the nickname "Romantic Willimantic" for 30 years. 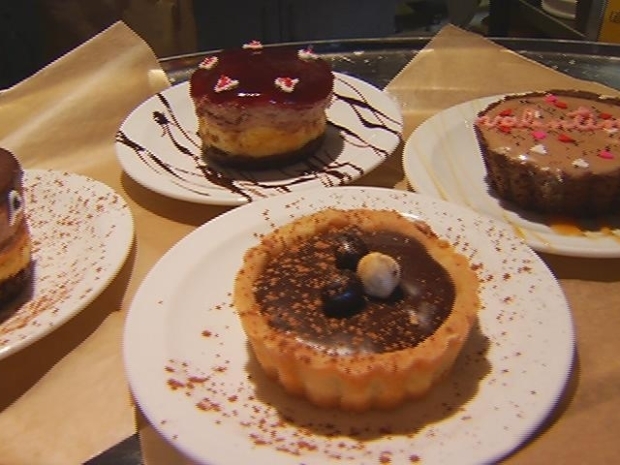 Town leaders celebrate with a Chocolate Festival over Valentine's Day weekend. On Saturday, more than 30 businesses will open their doors for the Chocolate Chip Stroll. Visitors are encouraged to stop in and get free chocolates and samples from 11 a.m. to 3 p.m.
On Saturday night, the Windham Performing Arts Alumni will sing and dance at the "Chocolate Lovers' Soiree and Cabaret." It starts at 6:30 p.m. at the Capitol Theater. After the show, indulge in a gourmet chocolate reception. The fun continues on Sunday, February 13 at the King of Hearts Ice Cream & Cake Social at Town Hall from 1 p.m. to 4 p.m. The event includes ice cream sundaes, games, face painting, karaoke and more. Lauren Petty feels the love in Willimantic. For ticket prices to the Cabaret and Ice Cream Social, click here.